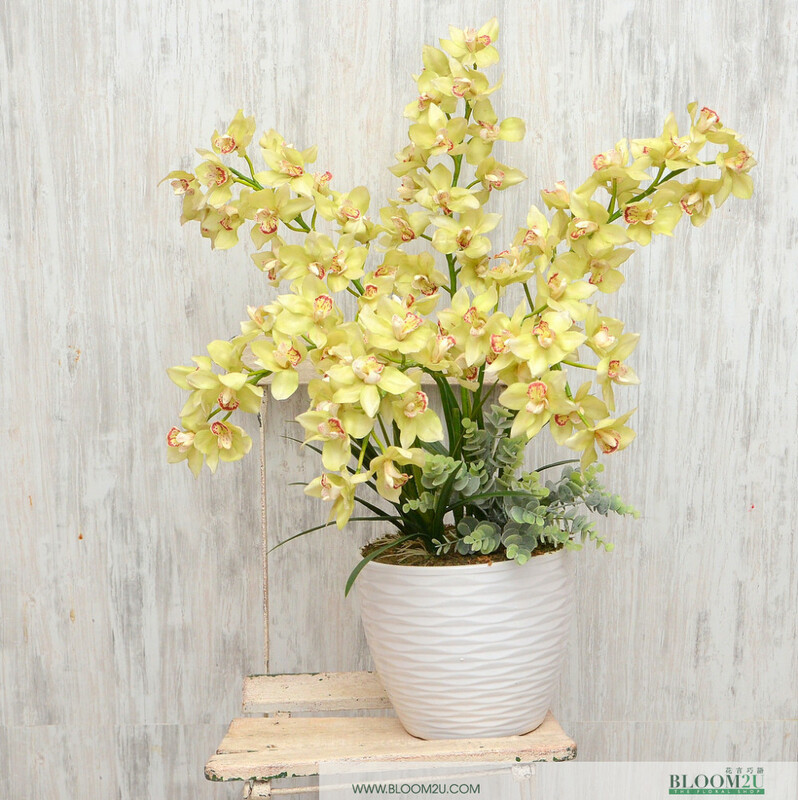 This is an artificial flower arrangement that consists of green cymbidium and leaves. 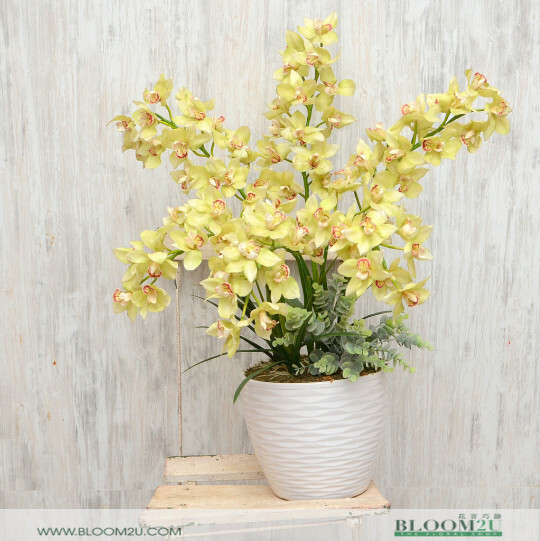 Specially imported by BLOOM2U. Aeni means original, pure or true. This artificial flower arrangement is suitable for a gift to your love one or to your esteemed clients. It is a gift from the heart. Pure and true. Also suitable for celebration of Hari Raya and Haji.